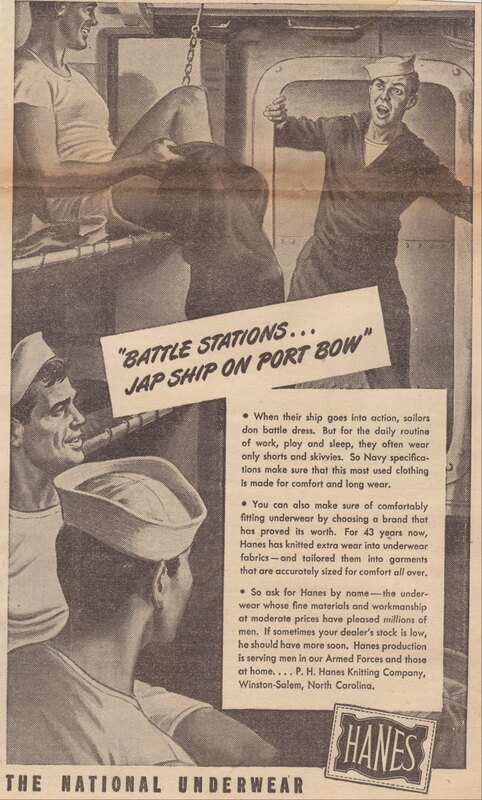 To commemorate Memorial Day weekend, here are some advertisement clippings from Summer 1944 issues of the weekly newspaper Grit.1 Tomorrow's entry will feature some clippings of news articles from the same summer. Above: An official U.S. Treasury advertisement for war bonds. Above: Advertisement from P.H. Hanes Knitting Company. Above: Advertisement for Clarion Radio. 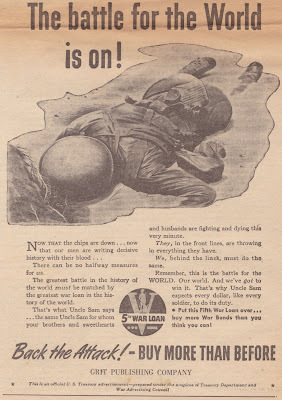 Above: Another advertisement for war bonds, sponsored by Sani-Flush and Mel'O. 1. Grit is still around, with a strong magazine and web presence. I plan to write more about it in the future.